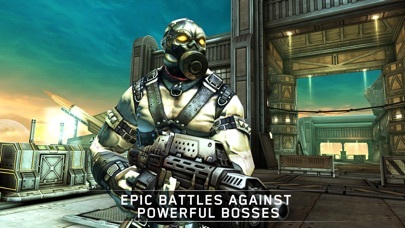 Featured in the Rewind 2011, Benchmark Games and Gorgeous Games by Apple !!! Number one in 25 countries and Top 5 in more than 50 !!! 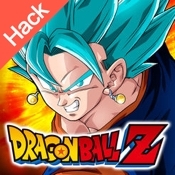 *** Please join to our social networks and became part of MADFINGER Games and help us make the best games !!! 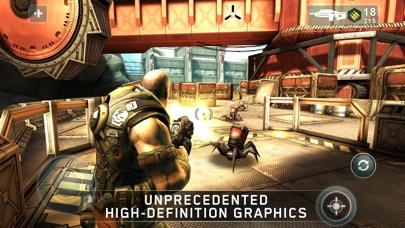 www.kotaku.com "Spectacular mobile gaming achievement"
www.g4tv.com "This game looks incredible, and plays better." 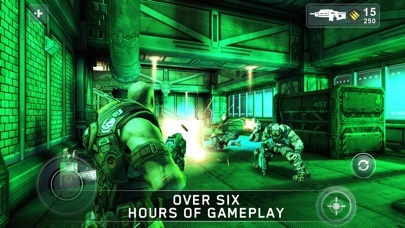 www.pocketgamer.co.uk "The best third-person action game available on mobiles, with stunning graphics and tight controls"
www.appolicious.com "Everything from the graphics to the sound is top notch"
www.theappera.com "Stunning Third Person Shooter"
www.crazymikesapps.com "One of the best shooter games"
www.applenapps.com "Is quite simply the current pinnacle of iOS gaming, and nothing else even comes close." www.touchreviews.net. 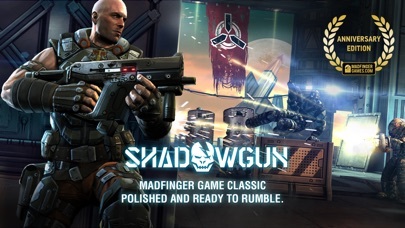 - "Shadowgun is an engrossing game, an adventure that once you pick up you won’t be able to put down"
SHADOWGUN puts you into the role of John Slade, the galaxy’s most infamous bounty hunter. 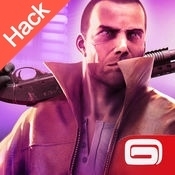 Your mission: hunt down Dr. Edgar Simon, maniacal genius and leader of his own mutant army. Infiltrate Dr. Simon’s mountain fortress and fight his personal guard of cyborgs, battle droids, and genetically-enhanced humanoids. 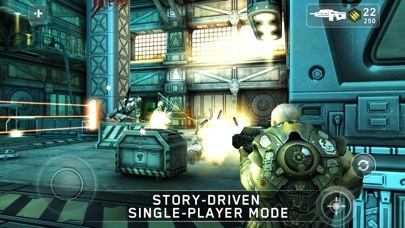 Using state-of-the-art weaponry, ships, and the assistance of S.A.R.A.—Slade’s personal assistant—SHADOWGUN combines intense tactical combat with 3rd person action. Compatibility Requiere iOS 6.0 o posterior. Compatible con iPhone, iPad y iPod touch.